Ten days ago we put up a post about a juvenile Leisler’s found at Center Parcs. We passed it on to Kel as she has the magic touch when it comes to juveniles, and Sogy was away at birdfair. First week with the Leisler’s. Eating is going ok but could be better. Observing the behaviour has led me to think she is not fully weened. Last night I managed to get her to have 10 mealworm inners and occasionally she will take them whole. I am going to try and get some waxworms to see if she likes them better. Needless to say that she hasn’t put any weight on. However she is lively and happy enough. She is very sociable and does purr/ vibrate quite a lot. She has a lovely nature and I had to frisk Jo and Elaine. Before they left with the BLEB Norman. Ok so she is now weened fully but not feeding herself.I am currently teaching her about her food bowl but mixed success so far. She still not eating as much as I think she should and hasn’t put on any weight! She also likes to be handled, which is unavoidable at the moment. But she really likes to be in the hand. I have noticed she gets cold very quickly when of heat mat. 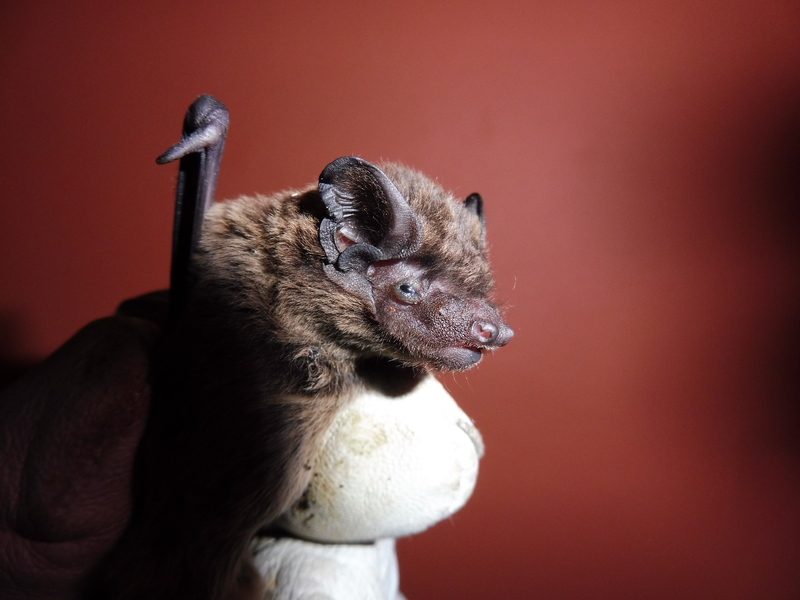 This entry was posted in Uncategorized and tagged Leisler's bat. Bookmark the permalink.